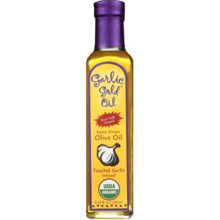 Garlic Gold Nugget Sampler Includes: 1 bottle of Garlic Gold Nuggets, Garlic Gold Southwest Nuggets, Garlic Gold Italian Herb Nuggets and Garlic Gold Sea Salt Nuggets. 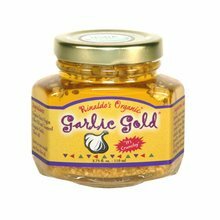 Garlic Gold Nuggets, the stunningly delicious bits of toasted, mild and crunchy organic garlic blended with a collection of of our favorite seasonings. 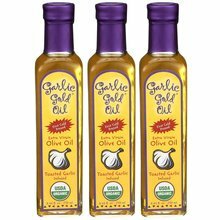 Garlic Gold Nugget Sampler Includes: 1 bottle of Garlic Gold Nuggets, Garlic Gold Southwest Nuggets, Garlic Gold Italian Herb Nuggets and Garlic Gold Sea Salt Nuggets. 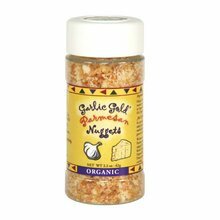 Garlic Gold Nuggets, the stunningly delicious bits of toasted, mild and crunchy organic garlic blended with a collection of of our favorite seasonings. This sampler will make your meals memorable and burst with flavor. Use this delightful combination of products as a gourmet topping on anything, including salads, pizza, sushi, baked & mashed potatoes, popcorn, pastas, enchiladas, etc. Just about anything but dessert! Our Nuggets provide a unique, healthful, delicious alternative to mundane eating experiences and are great gifts for chefs, family members, teachers, coaches, anniversaries, etc. You're going to love the crunch! And with four great flavors, you can be certain you'll satisfy even the most discerning foodies.